Praveen Vimal is a sophomore at the University of Texas at Austin majoring in Chemical Engineering with a certificate in Computational Science and Engineering. Born in Toronto and raised in Plano, a quiet suburb of Dallas, Praveen had the opportunity to attend SIGS � Summer Institute for Gifted and Talented Students. At these camps, he gained his first insights on engineering and had amazing teachers who guided him as he discovered his inner creativity and passion for learning. In high school, he took advanced placement classes in all the sciences and invested his time in National Honors Society, Biology Olympiad, volunteering at UT Southwestern and Parkland Memorial Hospitals, and tutored students for the SAT/ACT through Kaplan Test Prep. 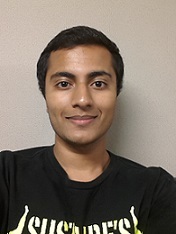 At the University of Texas, Praveen joined the Contreras Research Lab and works with his mentor Jorge Vazquez. He is an active member in American Institute of Chemical Engineers, and volunteers at Seton University Medical Center Brackenridge. He aims to follow his passions into the chemical engineering industry. Praveen noticed that Austin had a significantly higher underserved student population and realized that most of these students would not have the same opportunities he was fortunate to have as a child. He happened upon InnoWorks when researching on organizations that hosted such workshops and with InnoWorks� help, has begun a chapter at the University of Texas. In his free time, Praveen likes playing with his German shepherd, cooking, and power lifting, jogging, and exploring new places.